As you'll probably already know if you've seen this post, I'm not going away on holiday this year, but as we seem to be coming into a bit of a heatwave in the UK right now, I figured I could get away with some holiday styling right here. 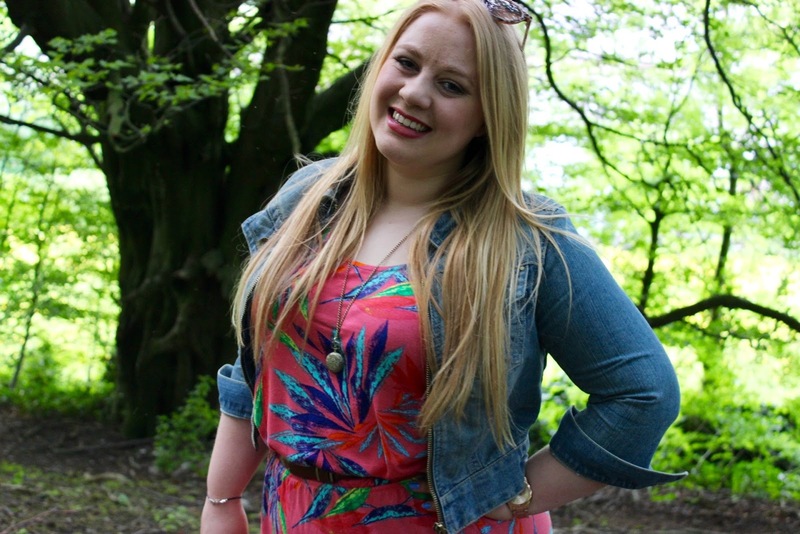 Curvissa, a plus size online fashion retailer, recently got in touch and asked if I'd like to get involved in their Five Ways Blogger Challenge where 5 different bloggers all style different outfits, this time being options from their Holiday Shop. 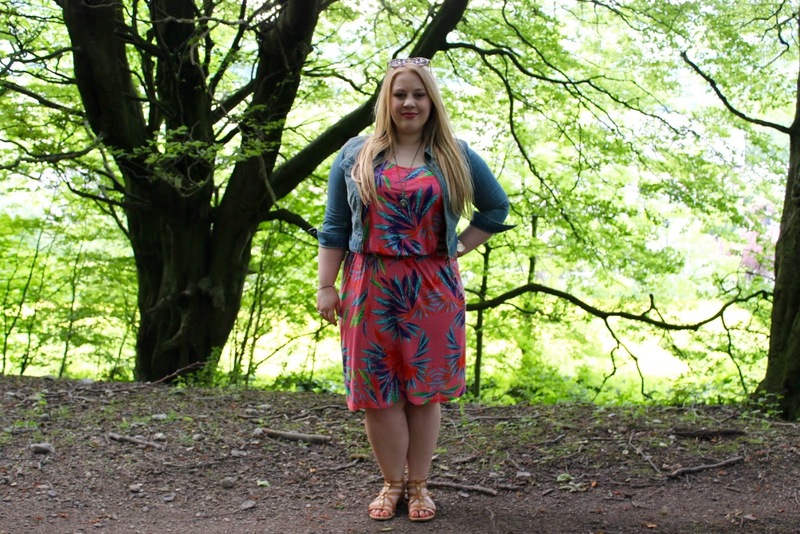 As I've recently moved more into plus size clothing after gaining some weight I was excited to get involved and see what I could find, and as soon as I saw this s.Oliver Printed Midi Dress* it stood out to me. Reds, pinks and oranges are normally colours I stay away from, and as I suffer from the dreaded chub rub dresses can sometimes be a no go, however I really wanted to step outside my comfort zone a bit and try something new, and I loved it. The dress is a midi dress, which on 5'4 me hits just below the knee, it has an elasticated waist band which hit a little bit lower than my waist so I added a belt to help define my shape a bit more. I went for a size 18 as I wanted it to be loose, I think it fits really well and as it isn't a tight dress there is definitely room to breathe. I think this dress is a really nice addition for Summer and especially on holiday as it would keep you nice and cool. My favourite thing about this dress is definitely the pattern and colours, although pink is normally a colour I stay away from I actually really like it with the bright blues and greens of this dress. I paired it with an old denim jacket and sandals you've seen before, and a simple long necklace, as well as my trusty Primark sunnies. I'd give this dress 5/5 as it fits really nicely and I love the design. I think if you're in-between sizes, or you want it to be loose then definitely size up. Make sure to check out these other lovely ladies who have also taken part in the challenge and see what they've chosen for their Plus Size Holiday Style. If you're a curvy girl looking for some plus size options then make sure to check Curvissa out, also I'd love to see any outfit posts you've done to get some inspiration. Whats your favourite thing to wear during the summer? Anyone else suffer from chub rub? *Curvissa sent me this dress to review, however all thoughts and opinions are my own. I may not be the healthiest person in the world, I can easily demolish a tub of Ben & Jerrys or finish a whole packet of Bourbon biscuits, but I love salads. They're so versatile and you can basically add anything to them and they're super quick to throw together when you need food asap! Although I do love a good iceberg lettuce a bag of lettuce leaves is so useful and means even more variety. 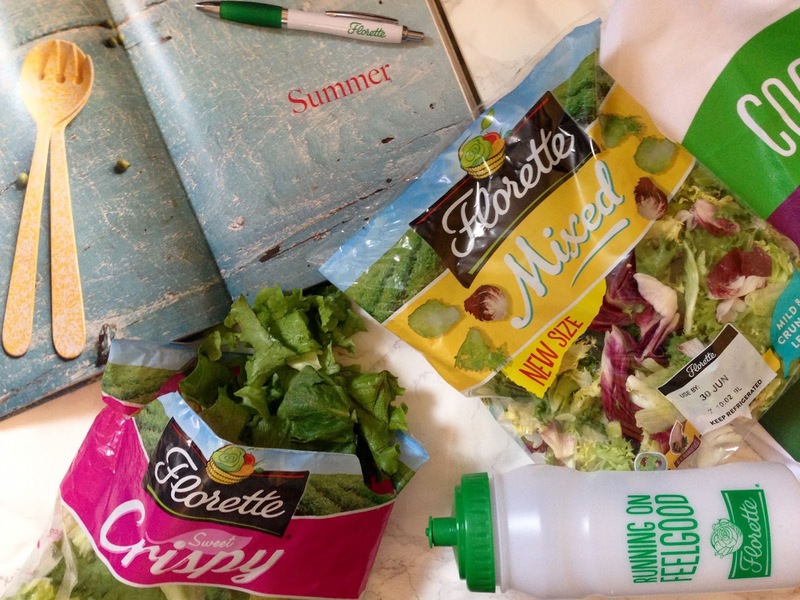 When Florette got in touch and asked if i'd like to get creative with some of their salad bags, and whip up one of my favourite Summer Salads I immediately said yes. 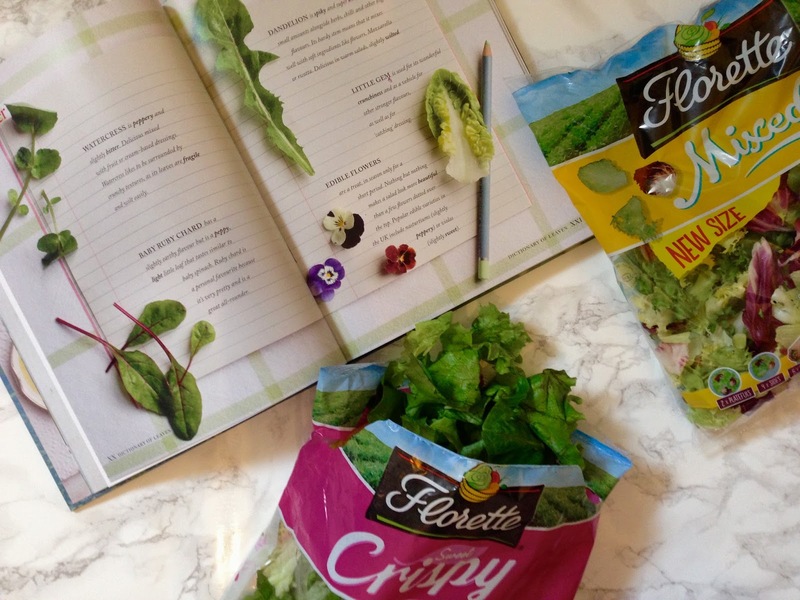 They kindly sent me a Florette Goodie Bag including A Salad for All Seasons recipe book which has some amazing looking recipes in it that I can't wait to try. Florette have loads of different salad bags, and although I really wanted to try out the Baby Kale it proved rather illusive and I couldn't get my hands on it. They have a great range with lots of mixes, I went for a Mixed bag as well as a bag of Sweet Crispy. Although I think the more adventurous salads, with quinoa, prosciutto or other fancy things look amazing and do taste amazing, I love a simple easy salad that still tastes great and is easy to throw together with products you've already got in your fridge. 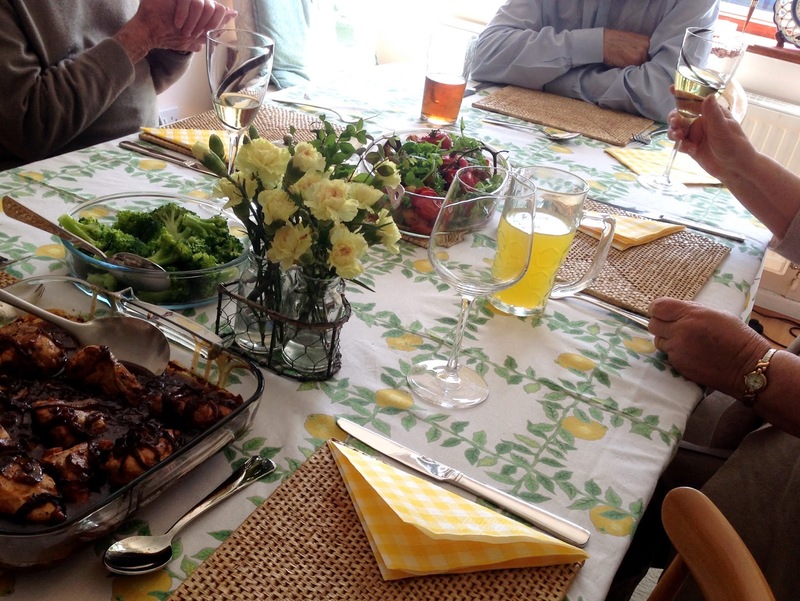 I went for a chicken and bacon salad with a generous drizzle of honey and mustard dressing. 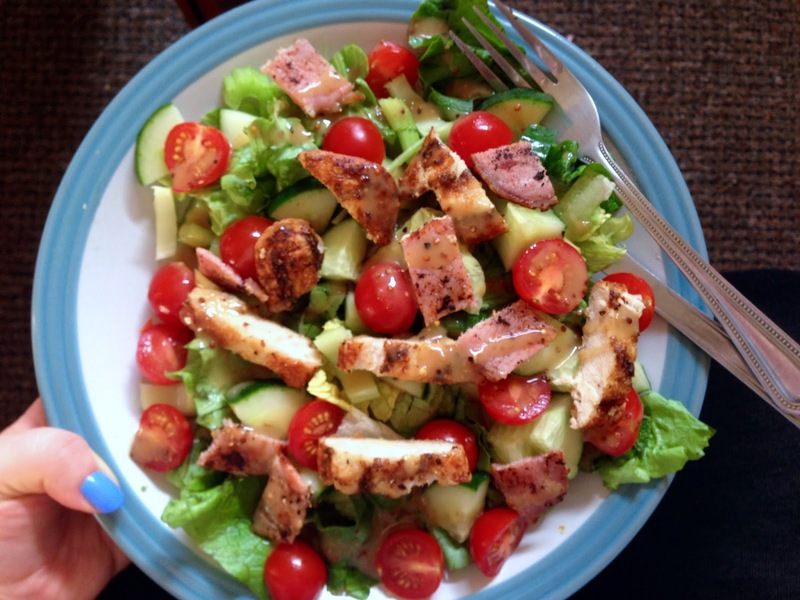 Starting off with a bag of Sweet Crispy Florette salad that has a mix of fresh crispy leaves, and adding in cucumber, cherry tomatoes, celery, roasted chicken and bacon. 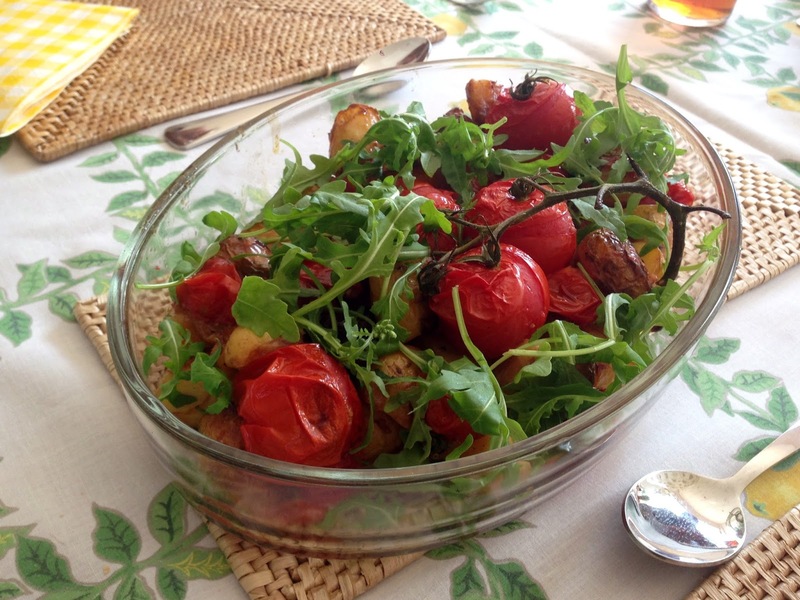 After scrolling through Florette's website which has a huge list of Summer Salad Recipe's I definitely want to expand my salad repertoire and I'll be making lots of salads throughout the year. If you've got any awesome salad recipes please leave them below, and let me know what your favourite salad or addition to a salad is? *Florette sent me a Goodie Bag and vouchers to purchase 2 bags of salad, however all thoughts and opinions are my own. 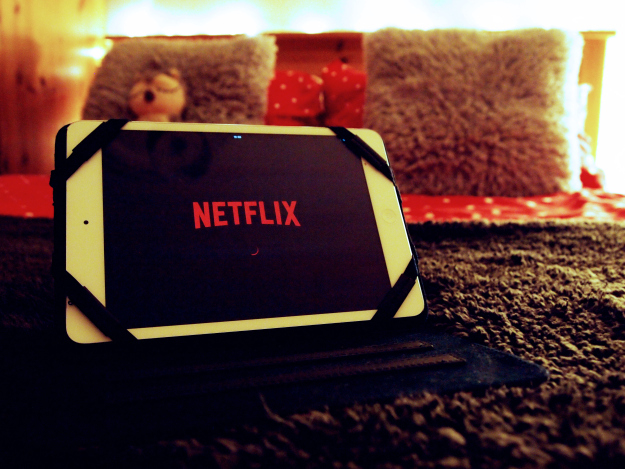 The wonderful Rachael recently posted The Netflix Tag and included me as one of the bloggers she has tagged. As a university student I probably spend a more than average amount of time on Netflix so I figured I'd join in and take part in this tag, and let you know what I like to watch while I'm procrastinating writing essays. Oooh this is difficult. I don't think I can pick just one all time favourite, so I'm going to pick a few from different categories. Mostly I like to watch documentaries on Netflix, usually some David Attenborough, I think Frozen Planet is my favourite. For TV Shows it has to be Ru Paul's Drag Race it's hilarious and so addictive, and those ladies have some serious talent! For films It's definitely rom-coms or awesome 90s films like The Princess Diaries. I'm not actually watching anything at the moment, but on my list of things to start asap are; the new season of Orange is the New Black, all series of House of Cards, and Orphan Black. The next season of Ru Paul's Drag Race for sure! Also More Disney films would be nice. As a bit of a documentary junkie I'd love more documentaries about random things. And all the series of Teen Mom which is a serious guilty pleasure. Not having all of the seasons of a TV show, getting hooked on a show and then realising the last series isn't on Netflix?! Arghhhhh!! Ben & Jerry's, or M&Ms. Any sweet chocolate based deliciousness really! If I'm trying to be healthy it would be a green tea and a bowl of fruit and yoghurt. Definitely Community. It's a hilarious TV show about a group of adults who are at a community college. It's the easiest show to watch, with some amazing characters and some really funny episodes. I mean who wouldn't want to watch a community college turned into a blanket and pillow fort, or a school wide paintball game?! Seriously, if you haven't seen it yet, go now! You won't regret it I promise. I also recommend Zeitgeist: The Movie, any of the Ted Talks, and if it's the cheesy rom-com random movies you're after then I'd recommend GBF or Stuck in Love. If you'd like to join in this Tag please do, and send me a link to your posts. I'm always looking for new things to watch and distract myself with! Who doesn't love cupcakes?! 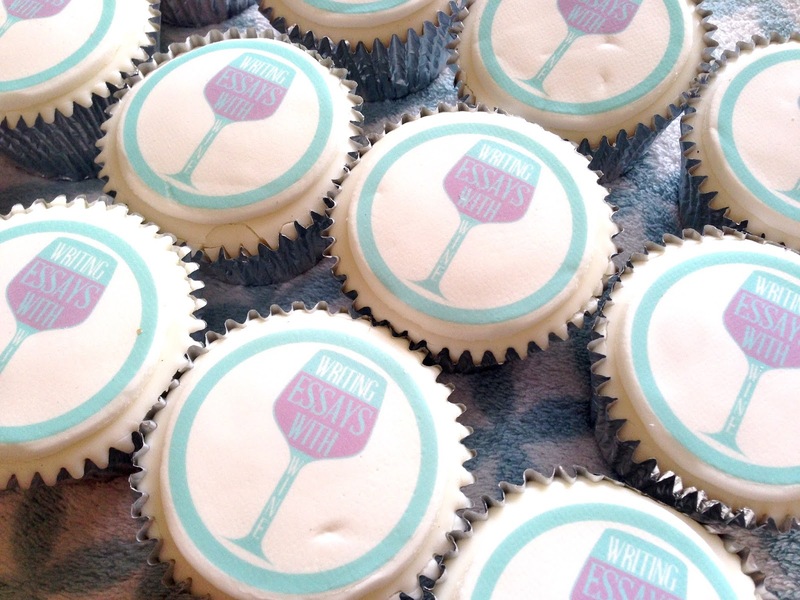 I don't know anyone that doesn't enjoy a good cupcake now and again, I probably enjoy them too often but how can I resist when they have my blog logo on them! Eat Your Photo sent me 12 of their vanilla cupcakes* with an edible photo on the top for me to review, luckily my housemates helped me out and managed to take a few off my hands because even I can't eat 12 cupcakes by myself. Eat Your Photo are basically a 'does what it says on the tin' company. 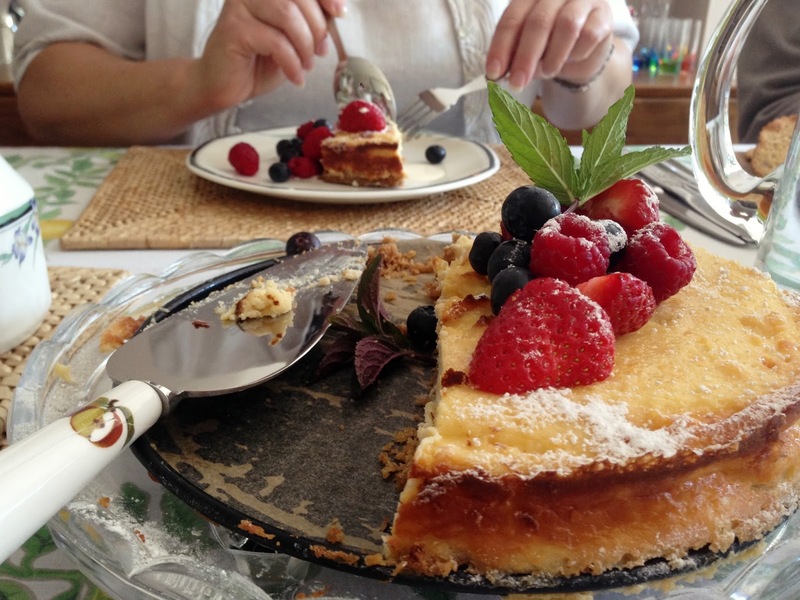 They make cakes with edible photos on the top, so you can eat your photo. It's not just cakes though, they also do brownies, chocolate and cookies all with your photo on top, you can also just buy the edible photo toppers if you wanted to make the cakes yourself. 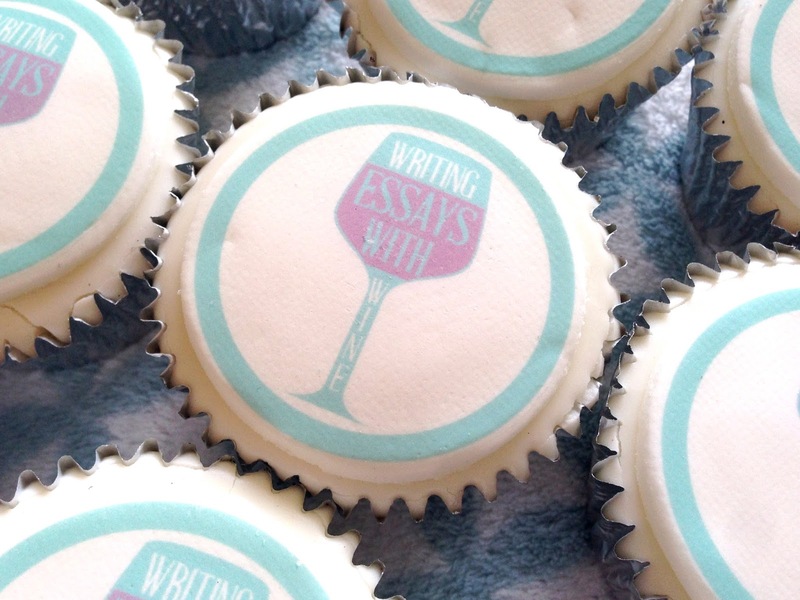 I went for my blog logo which sits perfectly on a round cupcake and looks pretty great I think! 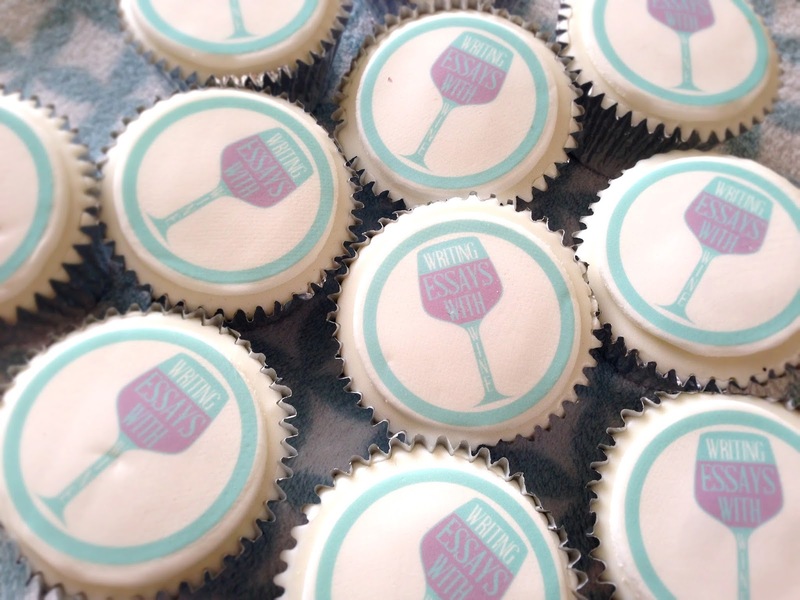 The cupcakes come in vanilla or chocolate flavour and would make a really great addition for promoting your business or at a party. I went for the vanilla flavour, and was definitely impressed, the cakes were moist and not dry, they were topped with a generous layer of buttercream icing and then the edible photo on top made from icing. Overall they were really yummy cakes, although quite rich and would be sickly if you had too many, but I guess thats probably a good thing! A set of 12 cupcakes comes in at £25.00 and they come delivered to your door packaged safely in a box, and you can pick your day of delivery which is definitely useful! The beauty of these cakes is you can put literally anything on them, making them great for birthdays, promoting your business, parties, even blog events! Eat Your Photo have also generously given one lucky reader the chance to win themselves 6 vanilla cupcakes! To enter head over to Writing Essays With Wine's Facebook Page, give it a like and then enter the Rafflecopter giveaway on this page. Whats your favourite cupcake flavour and what photo would you get on top if you won? 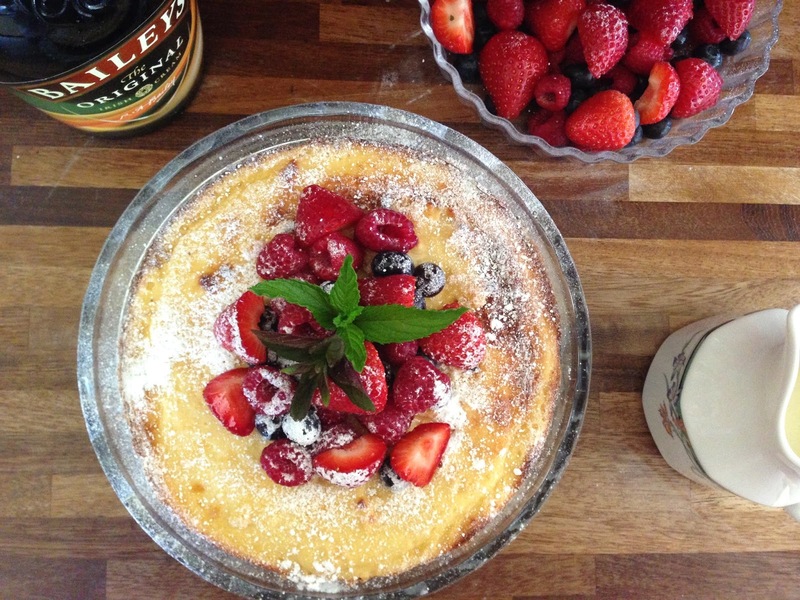 Make Sure to check out my Baker Days Giveaway for another chance to win some cake! I'm in the need for some new sandals. Every year I buy some cheap pairs from Primark that never last me so I'm definitely due a new pair. This year sandals have changed up a bit, it's less about the gladiators or plain and simple strap sandals and more about the caged sandals, and bright colours. I love adding a bit of colour to my shoe collection and both the River Island and the Lotus Goran from Brantano sandals caught my eye with the beautiful blues. The bright pink Flamingo Miss KG sandals are definitely something different, they're quirky and fun but not so crazy that you'd never find a chance to wear them. Although I love some colour I also think basic and simple colours and designs work really well with sandals as you know they'll go with everything. The Emilo Luca Sandals would work well with most outfits, a basic brown but with some gold thrown in to make them a bit different, at only £12 these are probably top of my list! The caged sandal is something I haven't dipped my toes into yet (terrible sandal related pun?) but I really like these white ones from New Look, they'd look gorgeous with a tan and red toe nails. Finally it's a real bargain with these flip flops from George, I love wearing flip flops in Summer, they're the easiest thing to just slip on when you're nipping out, and these have a beautiful floral design that would look great with denim shorts and a basic T, add some sunnies and you're good to go. 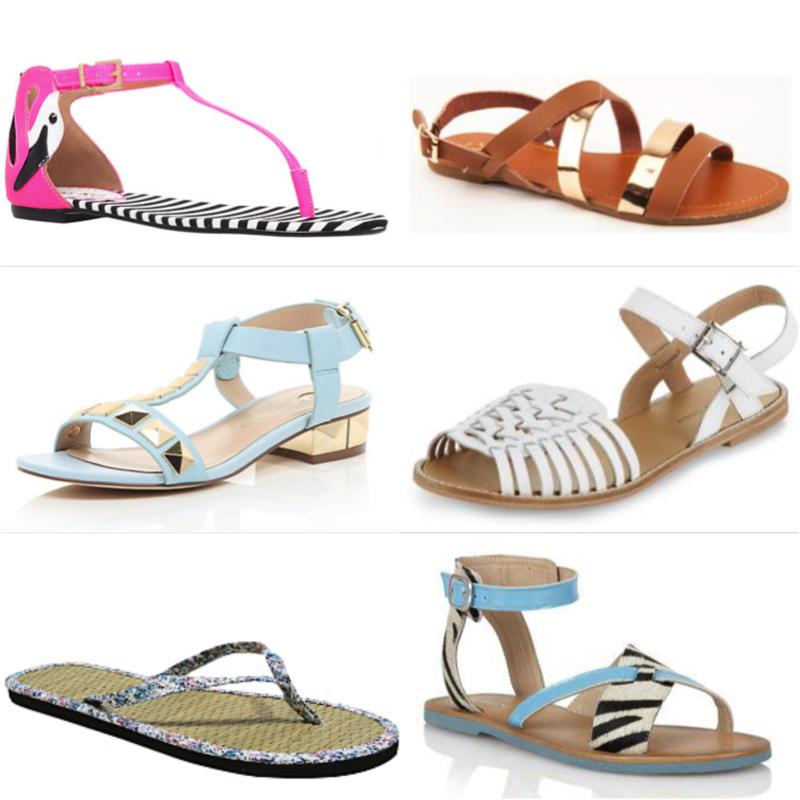 What type of sandal is your favourite for Summer? Have you got your eye on any nice pairs at the moment? *This post was written in collaboration in Brantano, however all thoughts and opinions are my own. Last week I was very lucky and got invited to two events in Manchester on the same day, the blogger life is pretty damn amazing! One of my favourite bloggers (and good friend), Sophie of Avenue de Sophie was also invited along to both so we got to spend the whole evening together eating pizza and admiring gorgeous handbags. 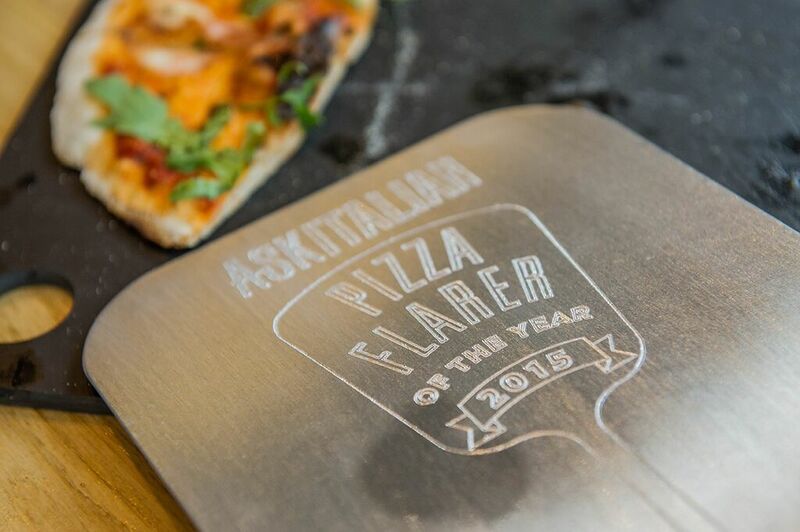 Firstly we popped into Ask Italian to check out the finalists of the #AllAboutTheBase competition which involved some rather impressive pizza tossing and sampling some of Ask's new sourdough base pizzas, which I can confirm were delicious. After a glass of Prosecco we had to leave to make it to event number two! The My Bag Online event was held at The Artisan in Manchester which is an amazing venue, very chic and perfect for a blogger event. The decoration was on another level and the room the event was held in had bookcases filled with old books, which I did enjoy having a little snoop of! After being handed a glass of white wine on arriving we got chatting to some of the My Bag team, who were all lovely. My Bag started up in 2010 and since then they've grown to become an established online boutique stocking luxury handbags and accessories including some pretty amazing brands such as Chanel, Daniel Wellington and The Cambridge Satchel Company. 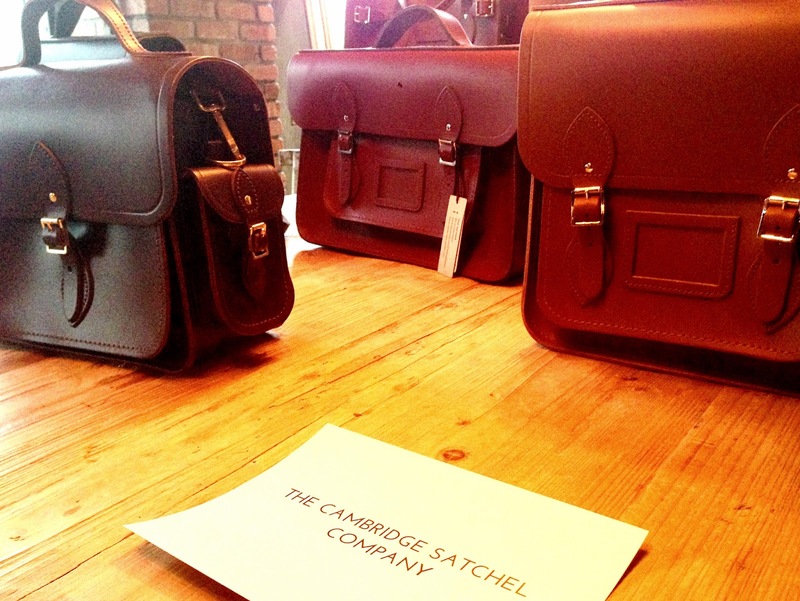 We were lucky enough to have a sneak preview of some of their Autumn/Winter items and we were definitely impressed! They've even got some exclusives and they're constantly introducing new brands to the site. I've always been a lover of handbags, I own far too many and if I'm going to splurge on anything it's definitely got to be a nice bag and My Bag have some gorgeous offerings. 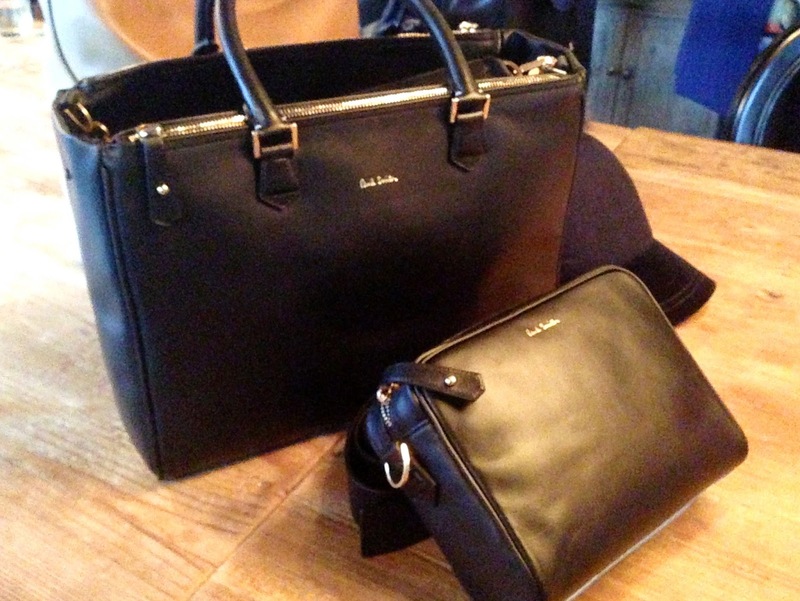 I personally fell in love with the large Paul Smith bag, which is unfortunately a bit out of my price range at the moment! They also had some accessories to try on, including some Ray-Ban sunglasses that me and Soph tried out, I'm definitely going to invest in a pair as soon as I have an income! We were also shown Paul Smith's winter hat, a baseball cap topped with a pom pom, supposedly the next big trend for A/W15. I wasn't sold on it myself, but I could definitely see people totally rocking it. It was really lovely getting to meet some other bloggers as well as chatting to the My Bag team, including Clare from I Like Tweet, a fellow blogger and also part of the My Bag team! Falling in love with an expensive handbag wasn't exactly part of the plan, but it was inevitable with all the beautiful bags on display! My Bag were also kind enough to put together a little goodie bag for us all to take home, and even more excitingly they were all personalised! 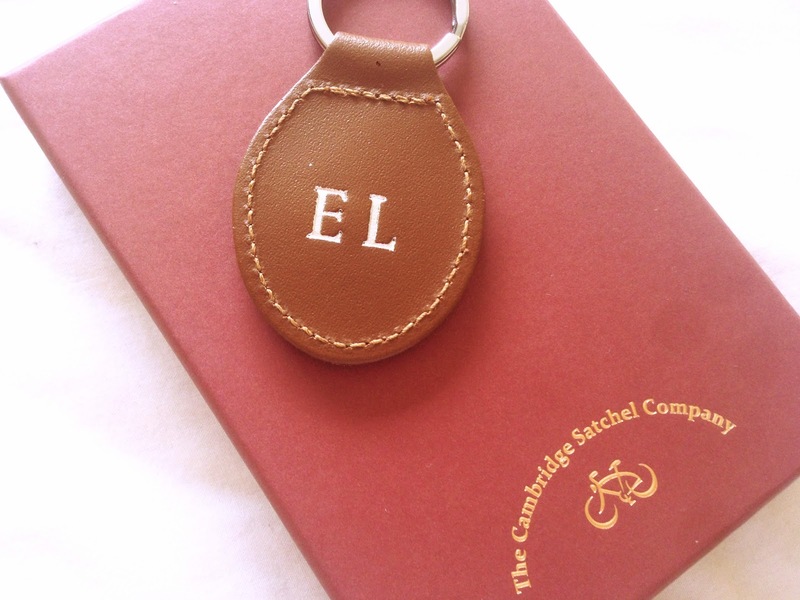 This gorgeous leather keyring from The Cambridge Satchel Company was personalised with my initials and I love it. 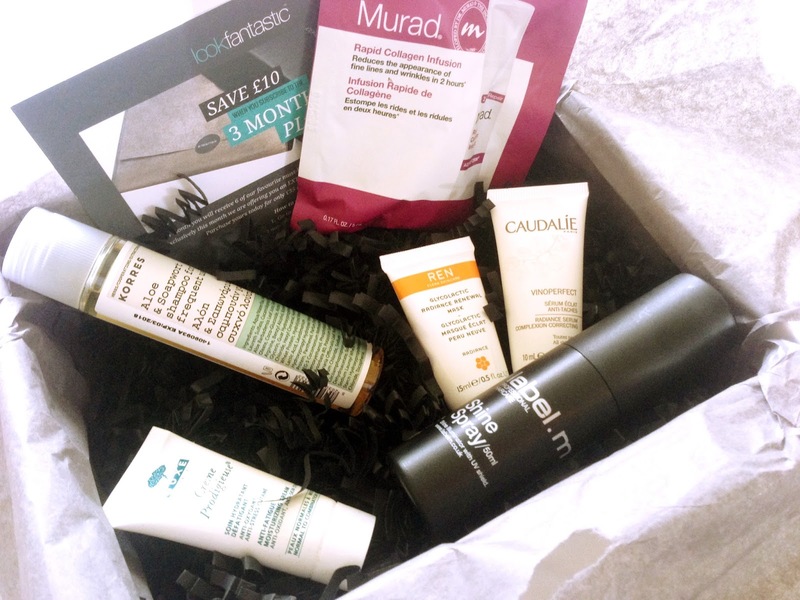 I also received a bag full of beauty goodies including a full Look Fantastic beauty box with lots of mini skincare and haircare items to try out, as well as a Vita Liberata Trystal Minerals, which is a self tanning mineral product for your face something I'm excited and a little bit nervous to try out! 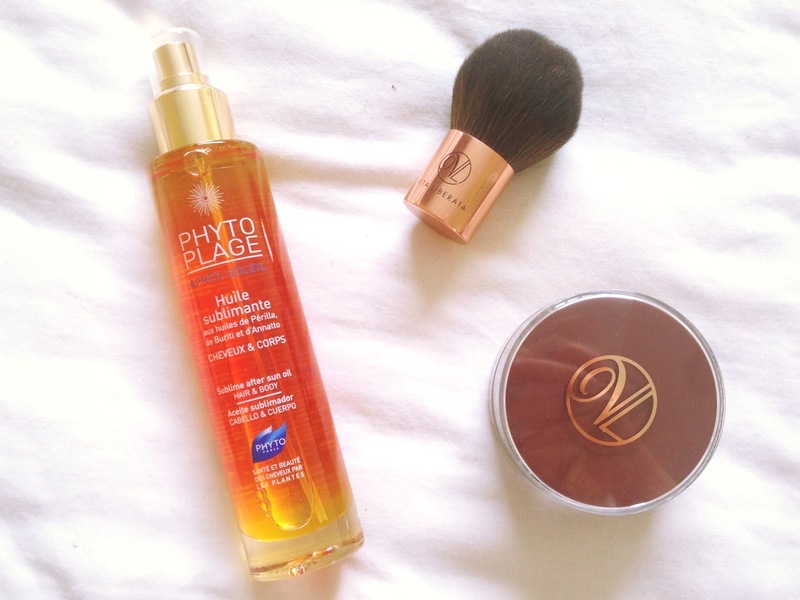 We also recieved a bottle of after sun oil by Phytoplage which I'm sure I'll get lots of use from once I've actually spent some time in the sun! I had a lovely time at the My Bag event, and thank you very much for inviting me Clare! 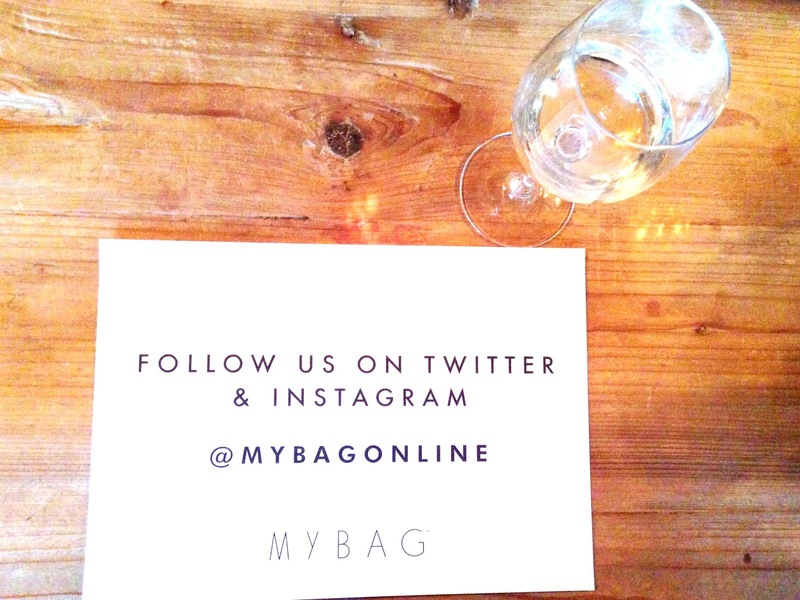 If you're looking to treat yourself or you just want to torment yourself by browsing some gorgeous bags head over to mybag.com and make sure to give them a follow on twitter and instagram. Whats your favourite luxury handbag brand? Kimonos have become a Summer staple over the past couple of years, everyone is wearing them and I can see why, they're versatile and add something extra to an outfit without being a thick and heavy layer, not what you want in the Summer. New Look challenged me to style a Kimono three different ways to show just how versatile they are. 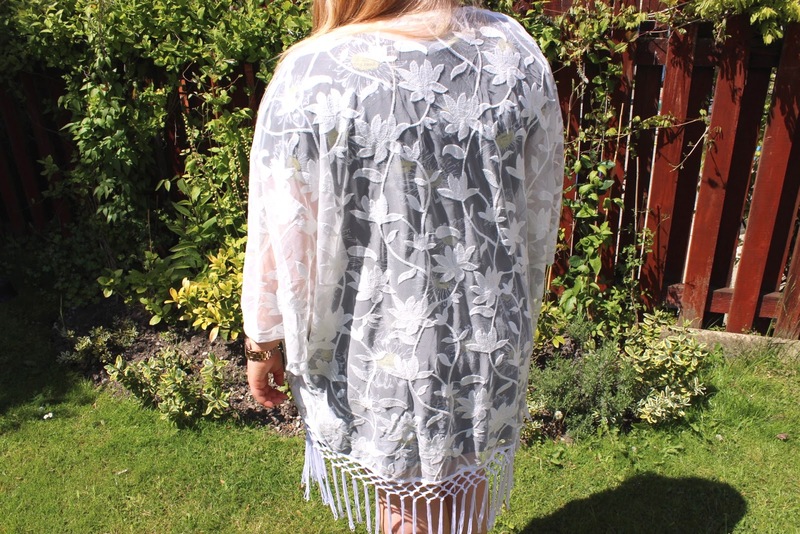 I chose this gorgeous Cream Embroidered Tassel Hem Kimono*, I thought it would be really nice to dress up an outfit and be a great evening cover up for when you feel like you need another layer. 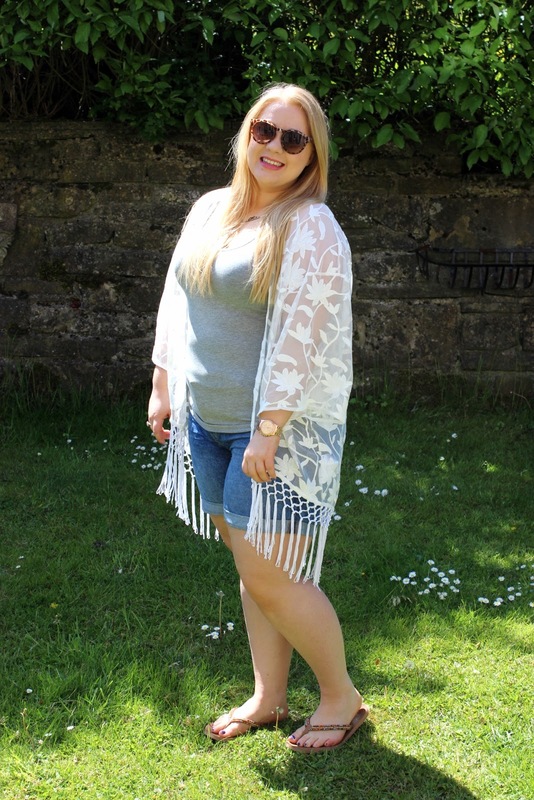 As a slightly larger girl, and having recently gained quite a lot of weight I'm not feeling hugely comfortable in my self and now it's coming in to Summer the thought of showing off my body is quite scary, so having an option of putting a Kimono on over an outfit is great. I can cover my arms and draw attention away from my problem areas but without getting hot or feeling silly for wearing lots of layers on a warm day. I'm definitely going to be investing in more Kimonos! The first look I went for is a very casual day look, something you'd wear when you're just heading out and comfort comes first. I live in Denim short over the Summer and I love these ones from New Look, they're not too short and they're really comfy. Paired with a grey vert and flip flops this could be a very plain outfit, however the Kimono really adds something extra to a simple outfit, and allows me to feel more confident and comfortable. This outfit is one I wear all the time in Summer, it's a bit smarter than my casual look, especially with the Kimono. I love wearing Joggers like these during the Summer, they're not as thick as jeans but not as exposing as shorts, I don't get too warm but I don't need to worry about showing off my legs. I think this is the look I would wear the Kimono with the most, I think it fits really nicely and would be lovely for so many occasions. My final look is definitely more of an evening look with a floral dress pulled in at the waist with a belt and some mint green block heels. Here the Kimono really stands out, it shows off the gorgeous floral embroidery and I feel beautiful in it. I'm less self conscious wearing this outfit, and without the Kimono I'd probably be worrying about how my arms looked or if the dress was too short. I love this Kimono for adding something to a plain outfit, covering up my insecurities and being an extra layer but not making me too hot. I can see myself wearing this all Summer and I'll definitely be looking at getting some more. New Look has a great range of Kimonos this season, I'd definitely recommend having a look, I've got my eye on this one and this one. Are you a lover of Kimonos? If you've got any outfit posts featuring Kimonos I'd love to see them and get some more ideas on how to style mine. *New Look sent me this Kimono to style as part of this post, however all thoughts and opinions are my own. I recently finished my last University essay and although I still have my Dissertation to write it was still a pretty great day that needed celebrating! My housemates have all finished their degrees as well so when Baker Days got in touch and asked if I'd like to try one of their Letterbox Cakes* I thought it would be a perfect opportunity to celebrate with my housemates and enjoy some cake! The beauty of this cake is that it arrived by post and fits perfectly through the letterbox, meaning you can have cake any time and you don't even have to get changed out of your PJs and leave the house to get it! 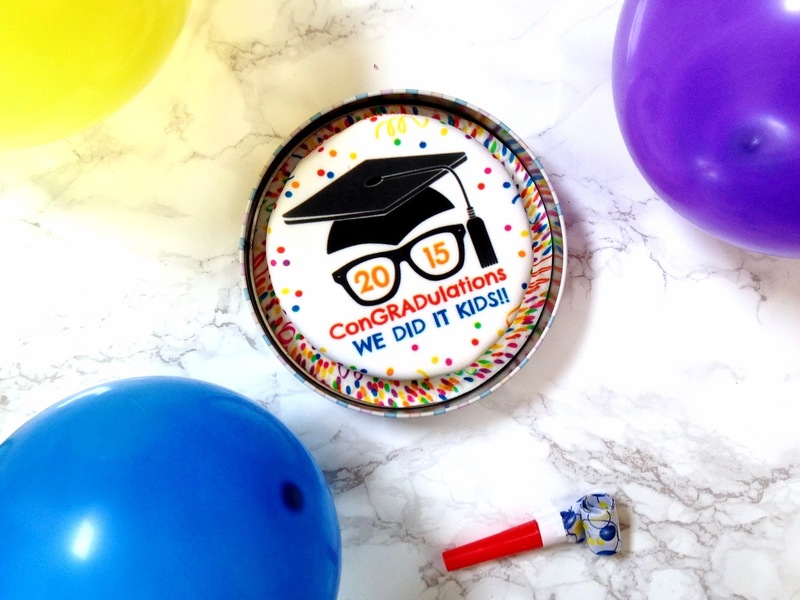 The cake arrives in this little cake tin and it's pretty well protected, it even comes with balloons and candles making it the perfect for birthdays, who wouldn't want to be surprised with cake arriving on their doormat ready to be devoured! 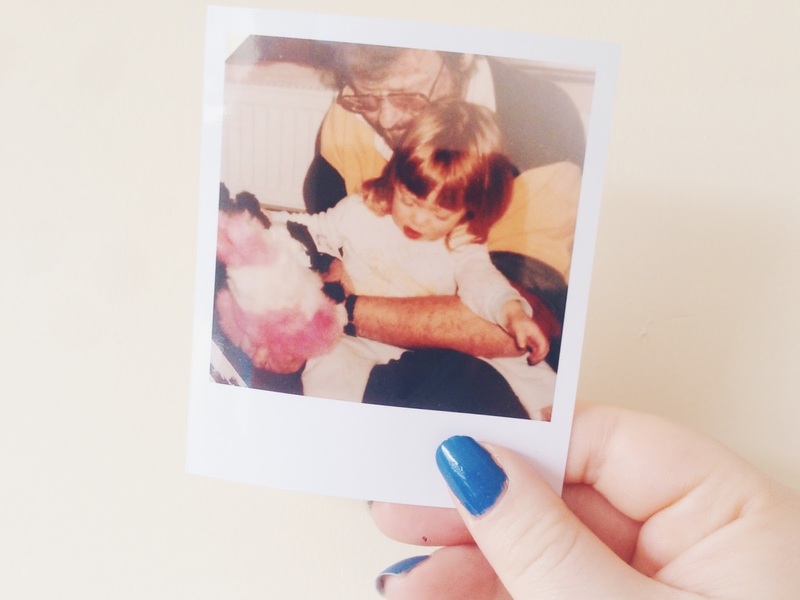 You can even personalise them to make them that bit more special, with photos or a little message. The perfect present for someone you might not be able to spend the day with, or they make a pretty great present to yourself, especially with Next Day Delivery where your cake craving can be satisfied with a delicious fresh cake arriving the next day. I guess the most important part of a cake is always going to be the taste, I must admit I was a bit sceptical that a cake that arrived in the post could be that nice, but I will hold my hands up and admit I was wrong. 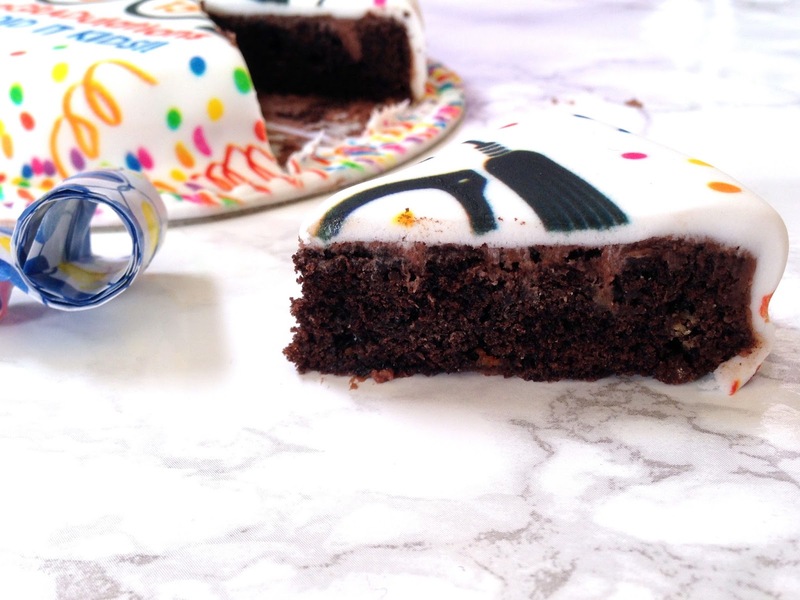 This cake tastes so good, it's moist and soft with an amazing flavour, I went for chocolate and I loved it, as did my housemates. The only down side to this cake is it's size, to fit in the letterbox it understandably has to be of a certain size, and that size is small! We did manage to cut it into 5 slices but one of the best thing about cakes is left overs and going back for an extra slice right?! Baker Days does do other sizes of cake or personalised cupcakes which would be great for a party. I've also been generously been given the chance to giveaway a Letterbox Cake to one of my lucky readers! So to have a chance to be delivered your own personalised cake to your door just enter the Rafflecopter giveaway below. The cake will be sent out by Baker Days and I hold no responsibility if for some reason your cake never arrives, although I'm sure it will! This giveaway will run for 2 weeks, ending on the 28th June 2015. What do you think about cakes arriving through your letterbox? Something you'd like to see on your doormat in the morning? 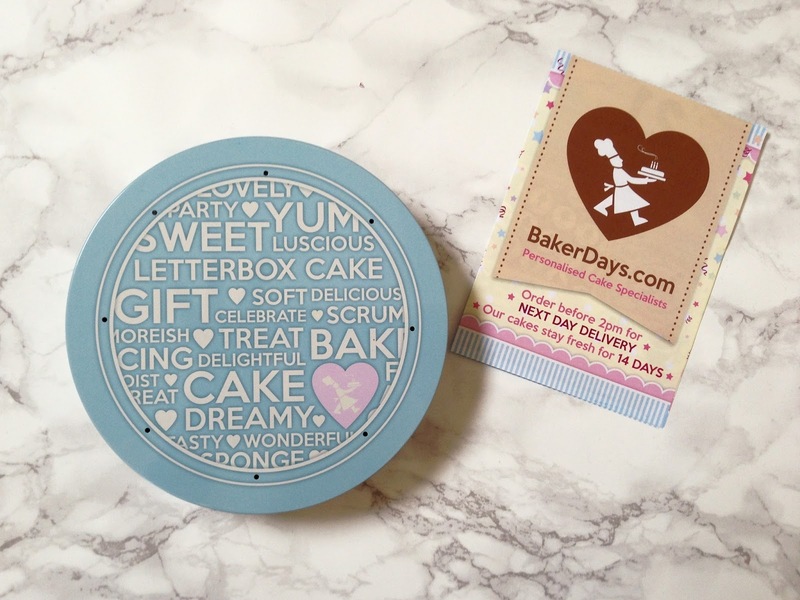 *Baker Days sent me a Letterbox Cake to review and are allowing me to give one away to a reader. All thoughts and opinions are my own. Just over 2 weeks ago I posted about joining in the Slim Fast Challenge*, I was hoping to loose some weight and feel a bit more confident about myself, and I said I'd keep you updated on how I got on. 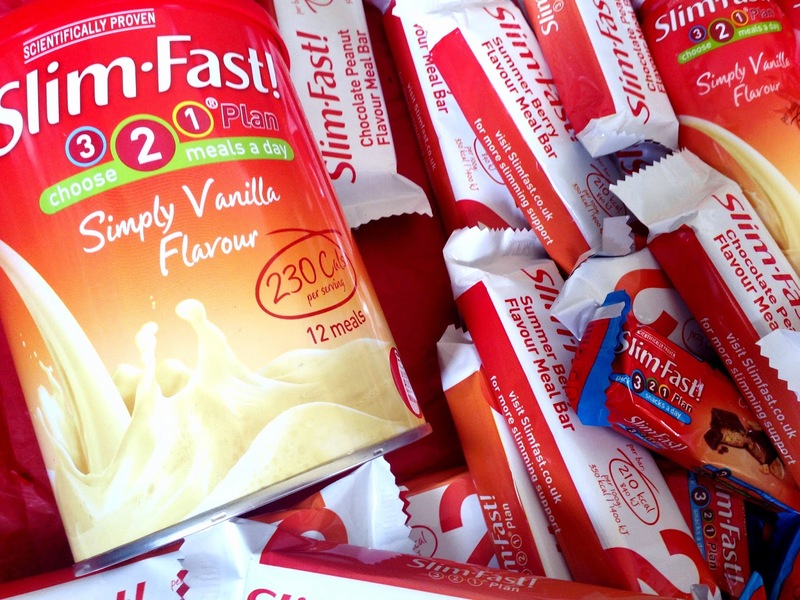 So here is my review of the Slim Fast 3,2,1 Plan, on this plan I was allowed 3 snacks a day, 2 Slim Fast meal replacements which included their meal bars or shakes, and then finally 1 healthy balanced meal. This plan is pretty easy to follow, it's not confusing and everything tastes really good, however it's not super filling which was definitely where my downfall came. Although I really enjoyed all the shakes and meal bar options and I did find that I could last all day on plan, I also felt pretty hungry and found myself thinking about food a lot of the time! One of my main criticisms of this plan is that the majority of products are sweet, which is great for someone who loves chocolate however it's not going to help you if you're a bit of a chocolate addict as you're not cutting down and you'll be back to wanting chocolate once you've completed the plan! Personally I struggled with the high sugar content. Like most sweet 'low fat' options these products had quite a lot of sugar in, for most people this wouldn't be too much of a problem, but I know my body doesn't process sugar well and it hinders my weightloss quite considerably. This isn't really a criticism of the plan, as for most people the sugar content wouldn't effect them in the same way, but as I have PCOS my body works a bit differently and through trying different dieting methods I've come to the conclusion that less sugar is the best option. Unfortunately I didn't loose any weight on this plan, but I don't think that is down to Slim Fast. My body's dislike of sugar, along with my lack of determination to stick to the plan has resulted in me not loosing any weight. I do think the Slim Fast Plan would work well for other people, and I've seen some people have incredible losses, it's not a long term solution, but if you want something easy to follow with some good tasting, sweet options then this is definitely for you. Although I'm pretty gutted I didn't loose any weight it has confirmed to me that the best way for me to loose weight if through cutting back on sugar especially the processed kind! I've tried this before when I Quit Sugar and I saw some great results. Hopefully this plan worked well for others, and if you've given it a go let me know. Also if you also suffer from PCOS I'd love to know if you have any weightless tips! 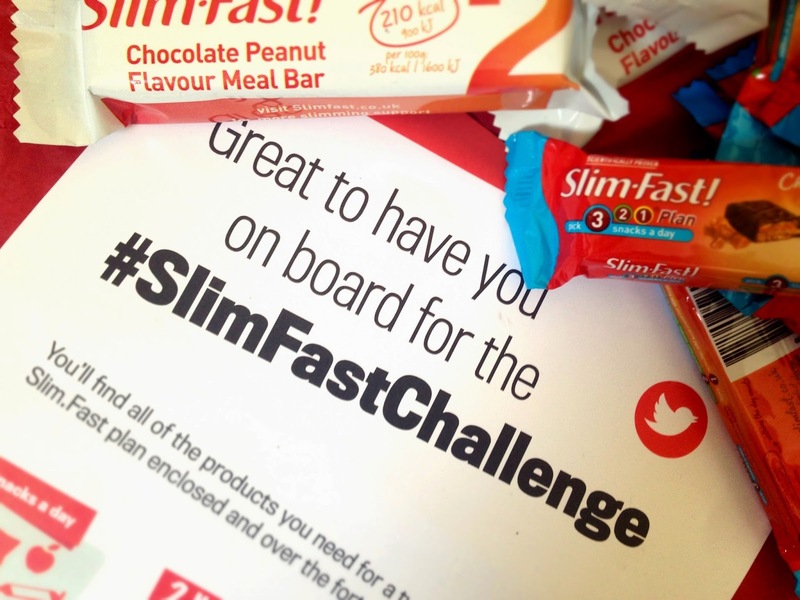 *Slim Fast sent me 2 weeks worth of products for the Slim Fast Challenge, however all thoughts and opinions are my own. My experience of gambling is pretty limited. I've probably brought 2 lottery tickets in my life and I have no idea how to play poker. However I do love winning, I mean who doesn't? It's always a thrill to win something and I personally don't see anything wrong with gambling for fun as long as you're responsible and only gamble within your budget. 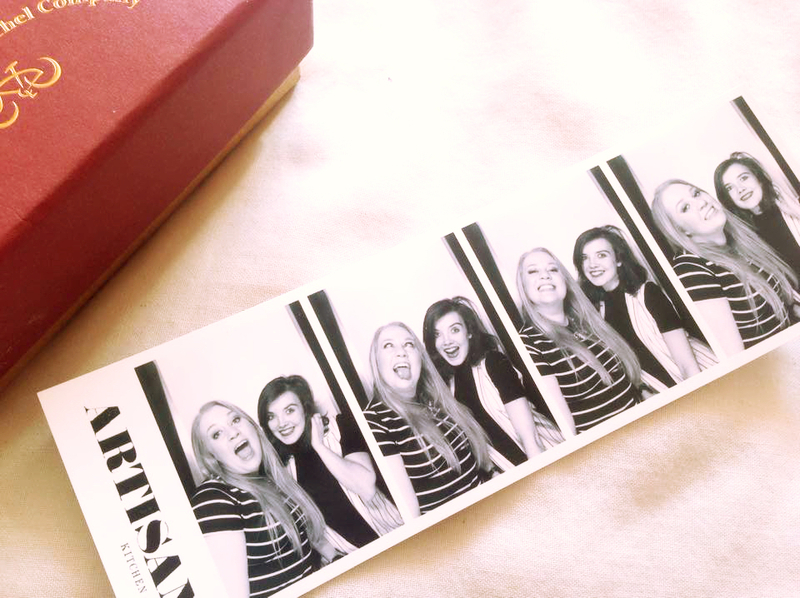 I've been in a Casino once and I gambled £1 which I lost, but it was fun none the less. I would definitely love to properly experience a Casino and one of my goals is to learn how to play poker and win! The glamour of gambling is definitely enhanced by movies which, other than giving an unrealistic view of gambling, make it look pretty exciting. I definitely want to sit at a poker table and order a Martini, shaken not stirred! 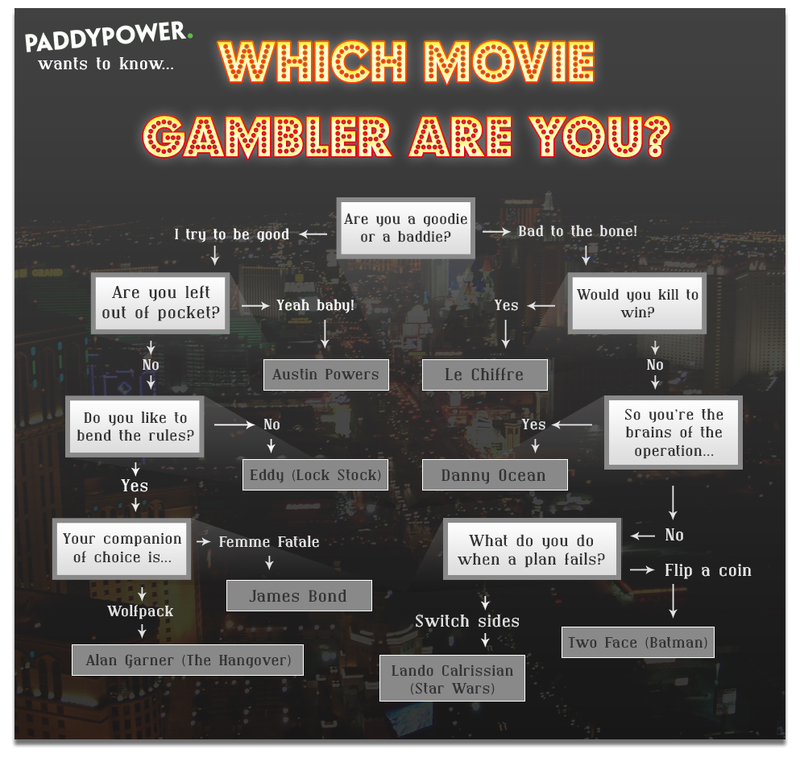 PaddyPower have created this flowchart where you can find out which Movie Gambler you are. I'd like to say I'm more of a Danny Ocean (Oceans 11) with the brains to orchestrate a casino robbery, but I'm definitely more of an Austin Powers! At least I'll be sure to have some fun though. I'd love to know which Movie Gambler you would be? If you're not lucky enough to have a fancy Casino you can get a taste of the casino lifestyle at Paddy Power Online Casino here. Make sure to gamble responsibly and within your means, and remember what they say... The house always wins! If someone said what is your favourite type of blog to read I'd always say lifestyle. 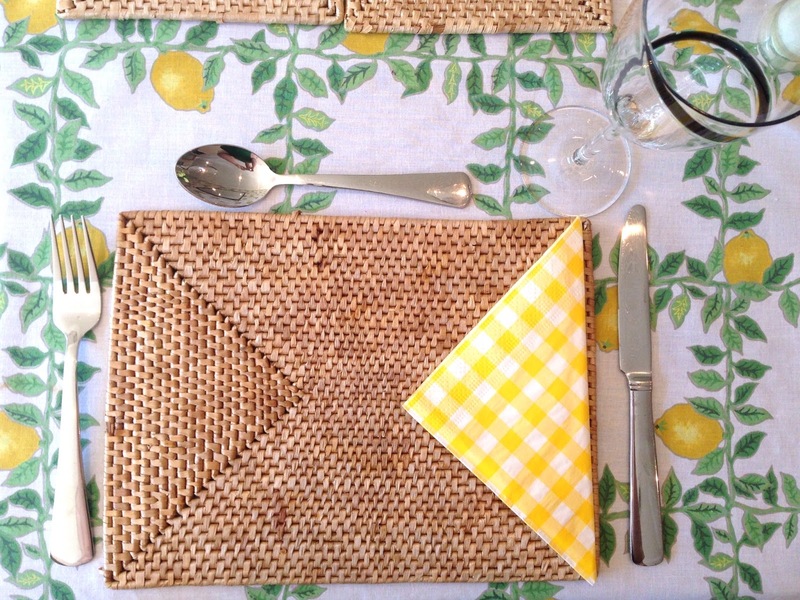 I love a mix of different types of posts and I love getting to know the person behind the blog. However I also really enjoy reading beauty posts, in face since I've started blogging my beauty and makeup collection has probably doubled in size! It's only been recently however that I've started to feel confident to include more beauty posts on Writing Essays With Wine, and that confidence has come from reading some amazing beauty blogs. 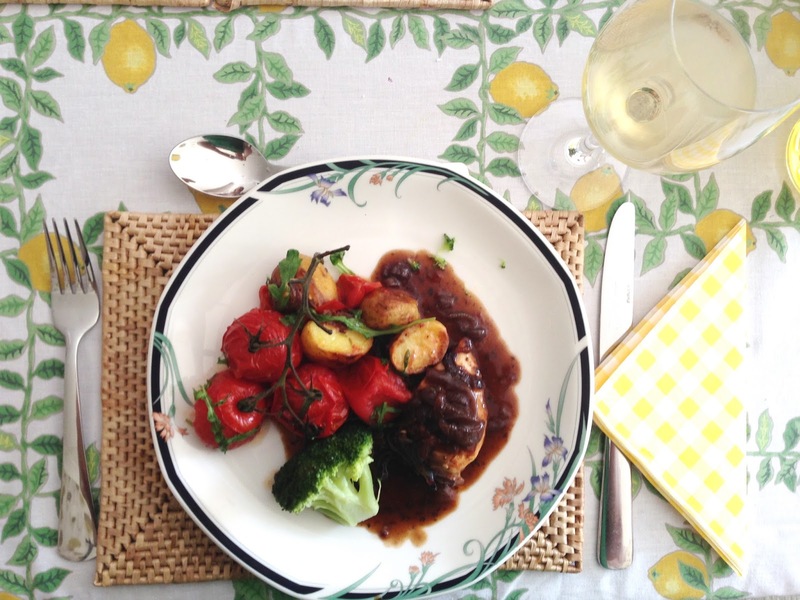 Most of these blogs predominately showcase beauty, however they also occasionally mix it up with some lifestyle posts, which is why they are some of my favourites. As its always nice to share the love and I personally love finding new blogs to read I thought I'd bring you another Follow Friday post and give you guys my top 5 favourite beauty blogs. First up and probably my favourite beauty blogger is Jasmine from Jasmine Talks Beauty. I basically adore everything she posts, her photos are amazing and I love the way she writes, it's so easy to read. She makes me want to buy everything she talks about and if she recommends something I know its going to be good. Her Drugstore Starter Kit is brilliant and she brings in some lifestyle with posts like her Top European Cities To Visit. 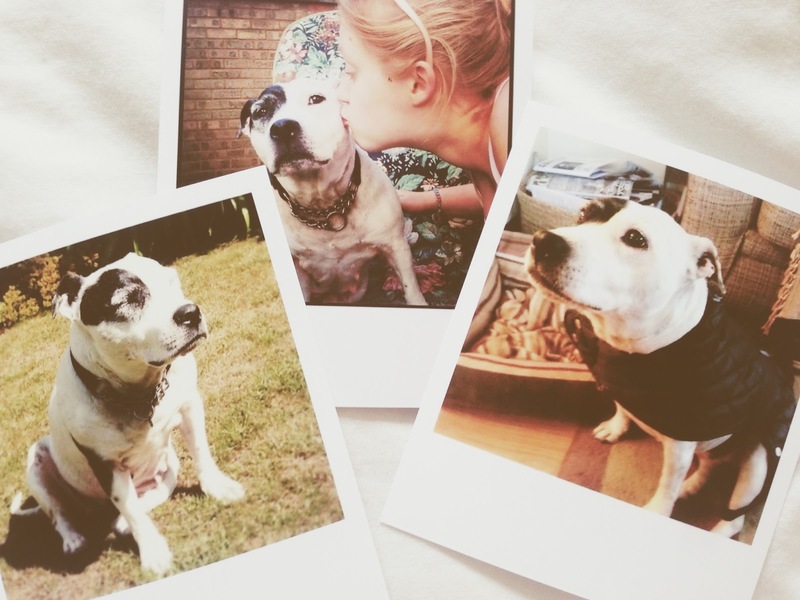 Pint Sized Beauty is run by the gorgeous Lily. She mostly posts about beauty and makeup and I love the layout and design of her blog, very clean, fresh and easy to navigate. She incorporates budget and high end products and keeps things simple and to the point but you still get a glance at her personality through her writing. Her Products Worth The Price post has me wanting to put in an order right now! If you want to be constantly updated on whats new in the beauty world then you need to be following London Beauty Queen. Hayley is my go to for finding out about a product, and I trust what she says, she is honest and isn't afraid to speak her mind about a product that might not have lived up to her expectations. It's also not all high end, Hayley regularly posts about drugstore products and has a collection of budget beauty posts. It's not all beauty though with regular advice posts or letting you know why Periscope is the next big thing! Georgie's blog is one of my favourites to scroll through, she always has a great variety of posts and it's easy to navigate around and find something else that looks interesting to read. Bean's Beauty Blog even has a page for New Readers where she has links to some of her most popular posts as well as an A-Z of all the products she has reviewed! 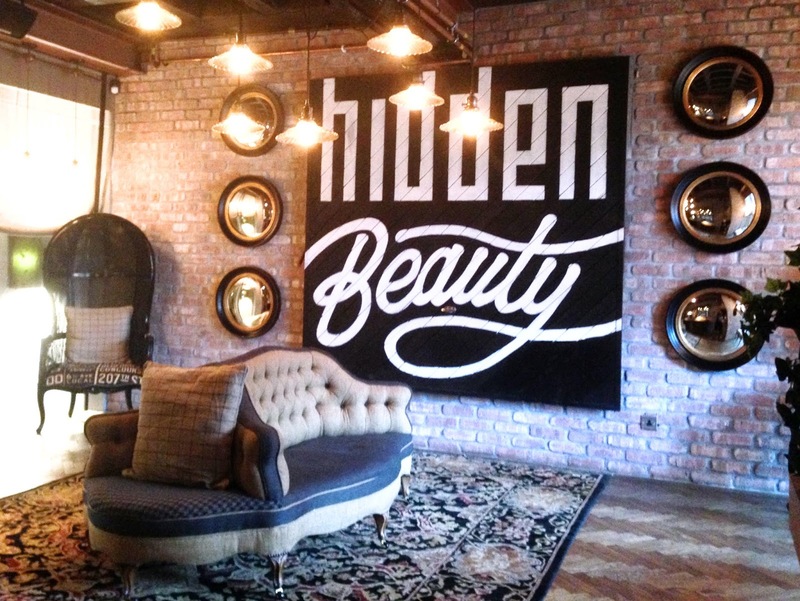 If you're looking to find a specific review this is where you need to go! Finally is Miss Makeup Magpie. 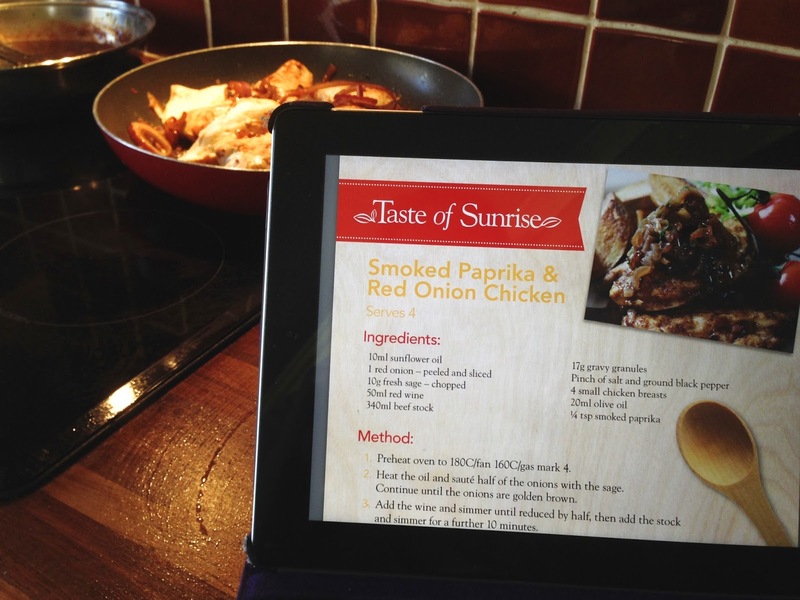 A blog that always catches my eye with great photos, in-depth reviews and regular giveaways which is always fun! 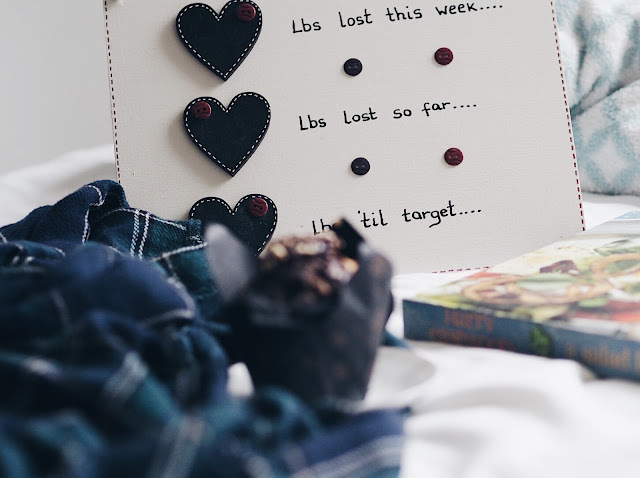 I love checking out Gemma's popular posts of the week and also scrolling through her instagram, it always makes me want to go shopping! I hope you've found some new beauty blogs to check out, and I'd really love to hear who your favourite beauty bloggers are, big or small! I'm always on the look out for new blogs to follow and fall in love with, and at the moment I've got a bit of a beauty obsession!